Editors note: Here’s another wonderful post from our roving correspondent MaryKate. This one features photos from her trip to Hawaii in February – enjoy! 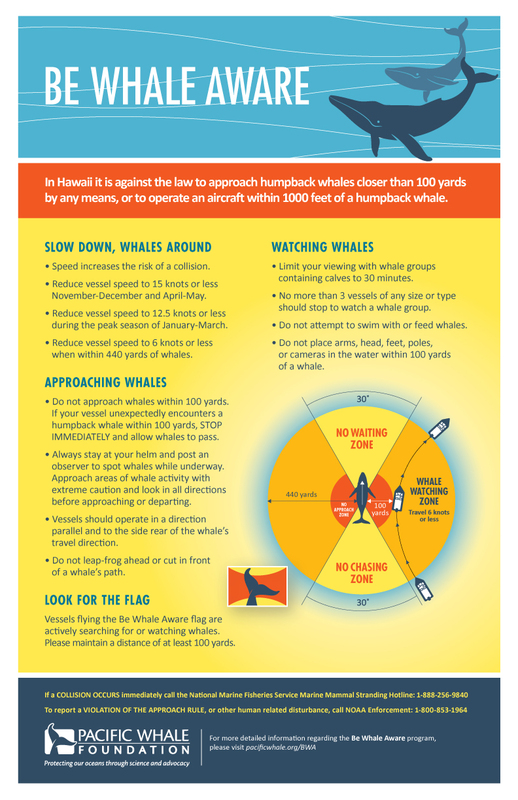 Being on Maui in February during peak whale watching season is like nothing else! Each year between November and May, humpback whales migrate from their summer feeding grounds in Alaska down to Maui to mate and give birth, with January to March being the best months for abundant whale watching. While there are so many whales you can see them from shore (sometimes causing traffic jams as people watch a whale breach! ), I highly recommend going out with Pacific Whale Foundation for a more intimate experience. My favorite cruise is their Sunday Whale Photo Safari out of Lahaina on Ocean Spirit, a luxury sailing catamaran**. I’ve been ‘whaley’ obsessed with working on my whale photography skills between trips to Alaska and Hawaii. As I make more photos, I’ve tried to find different perspectives and refine my skills. This trip, I was happy to catch some behaviors and situations I haven’t seen before – so I’ll focus on those photos in the rest of today’s blog. This image above is the first time where I can see the humpback whale’s eye (the round bump at the right)! This humpback was slapping its pectoral fin on the water, perhaps to communicate with other whales nearby. While we watched this whale, (s)he was watching nearby kayakers the entire time to make sure that they didn’t get too close. Another new situation for me was this next photo of Hawaiian Spinner Dolphins. I’ve seen one or two at a time before. This pod started out as three or four dolphins surfacing by our boat and then erupted into a large pod of 30-40! This many dolphins together is a breathtaking experience! We also had some very active humpback calves, and they treated us to a few baby breaches (also known as “flying pickles” because of the way they look when flying through the air). This calf below was just coming out of the water to breach – look how tiny he is compared to his mother nearby. I’m also working to improve my compositions (although the captain of the boat sure controls a lot of that!). I really like this image of a mother and calf double blow. Including the Maui shoreline in Lahaina adds interest and context to the photo. I had great luck on this trip with weather and whales – too much to fit into one post! Check out the rest of my photos in the album here. Thanks for stopping by and reading my blog. Now – go see things through a different set of eyes and make some photos! **DISCLAIMER: I’m biased – I love PWF and their mission to protect the ocean through science and advocacy and to inspire environmental stewardship so much, that I recently joined their board of directors. The Pacific Whale Foundation is holding a charity auction ending very soon on Monday, November 11, 2018. They have over 100 donated items up for bid (at this link). As readers of the Central Florida Photo Ops blog, you might recognize two of the items. MK and I have each contributed one of our whale photos as an 11×14 inch modern metal print with float mount from mpix. MK’s photo was featured on the blog in February 2018 ( https://edrosack.com/2018/02/24/majestic-maui-migration/). My photo is from way back in September of 2009 (https://edrosack.com/2009/09/20/north-to-alaska-ch-1-intro-and-wildlife/). Pacific Whale Foundation is a 501(c)(3) IRS tax-exempt charitable organization dedicated to protecting our oceans through science and advocacy. MK and I both strongly believe it deserves our support. If you get a chance, please check out the auctions and consider bidding on these two prints to help out this worthy cause! Editors note: Today we have another post from our roving correspondent MaryKate. She’s back in the middle of the Pacific Ocean, but this time on Maui – enjoy! I recently took the trip of a lifetime to Maui during whale watching season. While I’ve been fortunate enough to whale watch in places like Alaska, Channel Islands National Park and Maine, I have never seen anything like the whales in Maui in February. Each year around December/January through about March/April, North Pacific Humpback Whales migrate down from Alaska (bye, Monette!) to Hawaii to mate, give birth, and let their babies bulk up before the long journey back north. These whales love the waters around Maui, and I’ve never been to a place where you can sit on the beach or at a restaurant on the coast and watch these amazing creatures from land. But you can get an even better view from the water! I did two whale watching cruises, both with the Pacific Whale Foundation. I’d highly recommend any cruise with PWF (and check out their amazing gift shop while you’re there! ), because the money from your cruise goes to protect our oceans through research, education and conservation programs. While all of their cruises are great experiences, if you have the time and the money and are an early bird like me, your best option is to go on a smaller boat as early in the day as possible. We took the larger Ocean Discovery on a Saturday afternoon at 2 pm and there was plenty of whale watching, but it was nothing like the intimate photo safari experience on Sunday morning at 7 am aboard the Ocean Spirit catamaran. With a smaller, quieter boat, we could turn off the engine when we got 100 yards away from the whales, and sometimes they would come closer to us. This humpback whale was curious and “spy hopped” right by our boat, poking its head up to check us out! We were lucky to see many mom and baby pairs, which are easy to spot when you know what to look for: more frequent and smaller blows (the babies need to breathe a lot more often than the grownups), and a floating protective Mom beside them (Mom is always nearby!). I really enjoyed the photo ops on this whale watch. There was a photographer on board if you had any questions, and I was able to see and photograph whales in a way I never had before. Fun fact – did you know Humpback Whales (and all baleen whales) have two blowholes side by side (kind of like a human nose) vs. toothed whales that only have one? Humpback Whale – Two Blows Up! We also saw Maui by air via a Maverick Helicopter Tour. It’s a lot tougher to get good photos from a helo, but it was really amazing to see whales from such a different perspective! Below, a mom and baby (on the right) are “escorted” by a male (not the baby’s daddy!). Click on any of the photos above to see a higher res version on Flickr, and click here to see the entire photo set from the trip. Thanks for stopping by and reading my blog. Now – go make some whaley good photos! Thanks again MK – it was wonderful to read about your trip and see your photos. Hawaii is still on my bucket list! Also readers, if you’re going to visit, you might want to take a look at the Hawaii category on my on-line friend Jeff Stamer’s blog. He’s been there several times and has some amazing photos and tips. Editors note: Today we have another post from our roving correspondent MaryKate. This time from the middle of the Pacific Ocean – enjoy! Back in May, I (willingly) kidnapped my youngest cousin Annie and took her to one of my bucket-list destinations and remaining states to visit: Hawaii! We were there for 5 days and 4 nights, so we stayed on Oahu the entire time (vs. island hopping) – which was a different and enjoyable experience for me since I’m usually on the go! We shared amazing outdoor experiences like snorkeling, reflected at somber memorials like Pearl Harbor, and discovered captivating views while exploring the island on the drive of a lifetime. The most memorable experience was snorkeling off of Waianae. If you’ve read any of my past blog posts, you know I have a passion for wildlife, especially dolphins and whales. While we visited at the wrong time of the year to see humpback whales, I was really excited to see Hawaiian Spinner Dolphins in the wild. While snorkeling, we saw five Hawaiian Spinner Dolphins, green sea turtles, and even a baby hammerhead shark. The tour company was respectful about keeping our distance, being quiet and still, and not harassing the wildlife. However, while in Hawaii, I found the book The Lives of Hawaii’s Dolphins and Whales by Robin W. Baird, and was saddened to read that “because spinners do all of their feeding at night and all of their resting during the day…exposure to vessel traffic and swimmers may disrupt their resting patterns or cause them to leave the relative safety of their traditional resting areas. A recent study off Kona showed that spinner dolphins were exposed to humans, boaters, and/or swimmers within 100 yards of them about 82 percent of their time during the day.” Because of this, the National Oceanic and Atmospheric Administration is considering new regulations “to prohibit swimming with and approaching a Hawaiian spinner dolphin within 50 yards.” Knowledge is power, so I will cherish the memories I have from this experience and instead watch them from afar in the future – even if the rules don’t change. 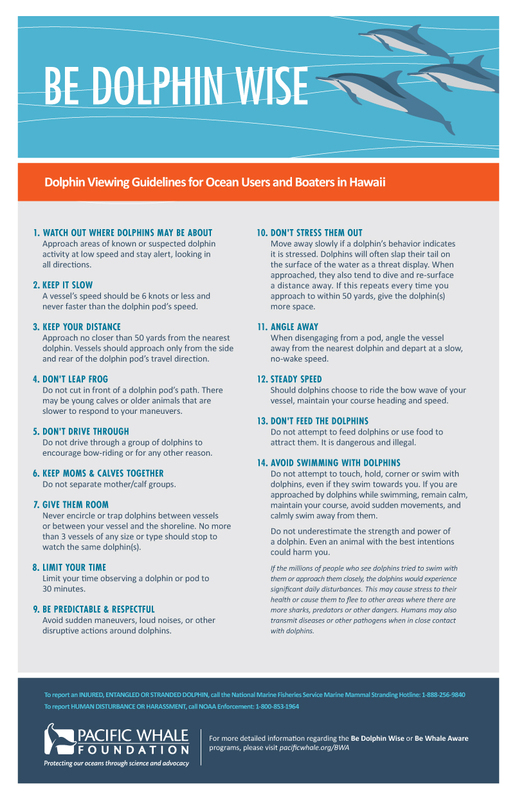 Pacific Whale Foundation has a great PDF with more information on how to Be Dolphin Wise. If you make it to Oahu, definitely follow my brother Mike’s advice to rent a car and drive the island. We got a better feel for the place by seeing so much more of it. From Waikiki, we drove north up the middle of the island (stopping at the obligatory tourist stop: Dole Plantation), then to the north shore for some shave ice, lunch at the famous Giovanni’s Shrimp Truck, scenic views, and a tour at the Kualoa Ranch where movies like Jurassic Park and TV shows like Lost were filmed (can’t you just imagine a T-Rex popping out of the shot below?). The drive and the views are the destination, so take your time and enjoy the ride! Thanks so much MK – it was wonderful to read about your trip. Hawaii is still on my bucket list! Also readers, if you’re going to visit, you might want to take a look at the Hawaii category on my on-line friend Jeff Stamer’s blog. He’s been to there several times and has some amazing photos and tips. You can click on any of these photos to see a much higher res version on Flickr. Thanks for stopping by and reading my blog. Now – go be amazed by wildlife and make some photos!